Dermatology constitutes a large percentage of the daily caseload in small animal practice and can represent a challenge for the busy practitioner as many different diseases have similar presenting signs. Thus, a solid understanding of how to logically and sequentially approach a dermatological case is essential for a successful outcome. 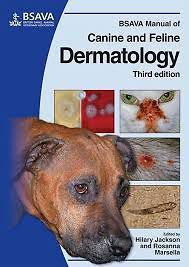 The BSAVA Manual of Canine and Feline Dermatology begins by providing the reader with a grounding in examination and investigative techniques. The second section of the Manual provides a problem-oriented approach to the common dermatological conditions encountered in practice, including erosions and ulcerations, focal and multifocal alopecia and pruritus. The final part of the Manual covers the major skin diseases of dogs and cats caused by bacteria, yeast, fungi and parasites.